Koyama Mitsuru (小山滿鶴, born 1970) is a Nihon Ki-in female professional Go player. Koyama reached 6 dan in 2009 (5 dan in 1996). She was previously called Nishida Terumi (西田栄美). She changed her name to Koyama Terumi (小山 栄美) in 2002. Her teacher was Kato Masao. 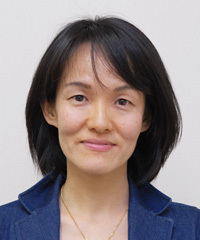 Koyama was the Women's Meijin title holder in 1996-1998 and 2005.